Friday marks 500 days since Al Jazeera journalist Mahmoud Hussein was arrested by Egyptian authorities after returning to his home country for a holiday. Hussein, an Egyptian national who was based in Qatar, was stopped, questioned and detained by authorities on December 20, 2016, after travelling to Cairo on annual leave. Five days after his initial arrest, Egypt's interior ministry accused him of "dissemin ating false news and receiving monetary funds from foreign authorities in order to defame the state's reputation". Since then, he has been put in solitary confinement and denied his legal rights. He has yet to be formally charged. According to Egyptian law, the maximum time a person can be held for interrogation is two years. If Hussein remains imprisoned, he will reach that in December 2018. His family says the journalist is in poor physical and psychological condition, and is being denied adequate treatment for ailments. Al Jazeera has rejected the accusations against Hussein and has called on Egypt to unconditionally release its journalist. At the time of his arrest, Sherif Mansour, of the Committee to Protect Journalists, said: "Egyptian authorities are waging a systematic campaign against Al Jazeera, consisting of arbitrary arrest, censorship, and systematic harassment." Human rights and pre ss freedom groups have also condemned his ongoing detention. Hussein's detention is the latest in a string of arrests by Egyptian authorities targeting the network's staff in the country. 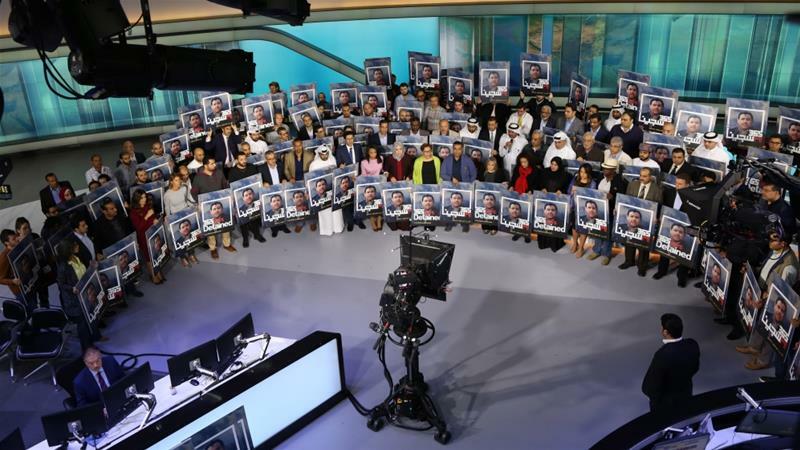 In May 2016, Ibrahim Helal, the former editor-in-chief of Al Jazeera Arabic, was sentenced to death in absentia for purportedly endangering national security. Egypt also imprisoned Al Jazeera's Baher Mohamed, Mohamed Fahmy and Peter Greste on charges of spreading "false news" in a case that was widely condemned by international media outlets and politicians alike. Mohamed and Fahmy spent 437 days in jail before being released, while Greste spent more than a year in prison. The judge who sentenced the journalists said they were brought together "by the devil" to destabilise the country.